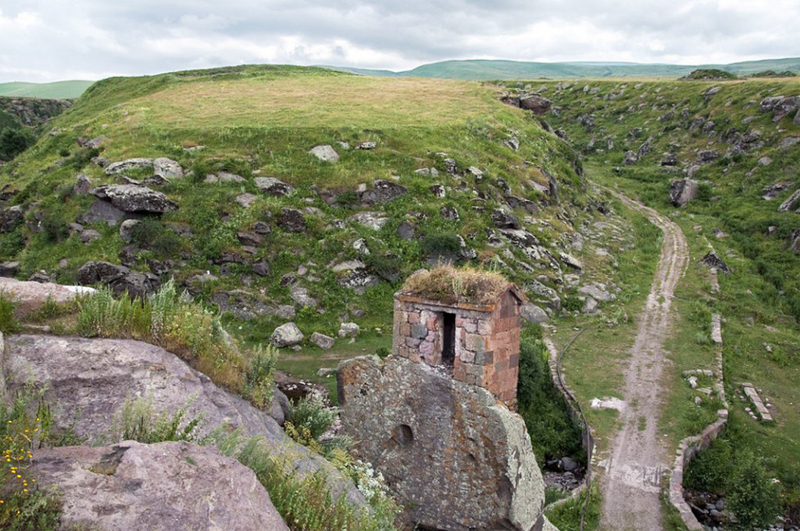 Scenery from Shirak Province, Harichavank complex (7th century AD). A temple complex is being excavated in Ogmik, the northwest of Armenia’s Shirak province, archeologist Hayk Hakobyan told journalists on Monday. “We have already found altars, idols and clay figures and carcasses of animals offered to gods. More specifically, dogs and deer were offered to Anahit and Astghik, goats to Vahagn. On one of the altars we have even found a human skull,” Hakobyan said. He said that the temple complex was built in II BC and was active till IV AD. “So, we see that not all pagan temples were destroyed after the adoption of Christianity. The complex in Ogmik was not ruined but just stopped its activities,” Hakobyan said. He said that the excavations in Ogmik were started in the late 1980s and resumed in 2006. “If continued at the current pace, they may last for as long as 80-100 years,” Hakobyan said.